I'm trying to figure out if my Mac's hard drive could be failing, or that it could be some other component or the HD cable. After transporting my Mac about a week ago it started beachballing a lot. I mean a LOT, like every time I try to change the window or do anything, it will beachball from anywhere between 10 seconds and a few minutes. I was using Caffeine before to stop the laptop from falling asleep and I am afraid that maybe I left Caffeine on during the transport, which could have damaged the drive, but I am not sure. The most notable thing is that any operation that involves the disk itself seems to be very very slow. I tried DiskWarrior for example and it took a day and a half to rebuild my directories from status 8 to status 10, which didn't help the performance of the computer. I also tried DriveGenius to scan for physical errors. It took about 12 hours to get to 26% (and this was not the "extented test") and found two "dubious areas", after which I cancelled it cause it would probably take another two days to finish. EtreCheck indicated some HD errors in its SmartREPORT. Downloads and copy operations (such as the back-ups that I did) will sometimes be fast and then become very slow and/or freeze for a couple of minutes. Sometimes they will then continue, sometimes not. Booting is no problem even though slightly on the slow side, except in safe mode which I left for 45 minutes and the percentage bar went all the way until the end but it never booted up. The HD doesn't make any weird noises. I haven't had any messages about possibly corrupted data. I'm basically trying to figure out if I should go through the trouble of buying a new HD cable, or if I should just replace the HD immediately, or perhaps try to low-level format the disk and reinstall everything to see if that might get rid of possible bad blocks. I updated my important files - I do however not have a HD at the moment big enough to clone my entire disk. recommended polling time:    ( 167) minutes. Downloads and copy operations ... will...sometimes be fast and then become very slow and/or freeze for a couple of minutes. A drive doesn't need to "make noise" as a symptom of failure - noise is usually an indication of a bad motor, bearing, or servo (mechanical parts) that are worn. Failing read/write heads or defects in the surface of the platter would make no noise at all. Everything else listed that indicated slowness or non-booting are all symptoms of drive failure. Where "X" is the device number of your drive. You can find out what the number is, if you don't know it, by issuing the command diskutil list and locating your particular drive. But, for a MacBook, it's more than likely disk0 since you only have one drive. Possibly, but not very likely. Cables don't go bad unless you do something to them. Unless you opened up your MBP and did something that required manipulating the drive cable, you can assume all is well. Should you low level format? No. You have a physically failing disk; low level formatting can't fix it. A lot of people like to "stress" the drive as an attempt to repair it; this makes zero sense. If you have a failing transmission in your car, would you drive it harder or tow a heavy load as an attempt to fix? There's no way around it, you are going to have to replace the drive. There's also no convenient time for a drive to fail but it only gets worse the longer you wait, so replacing it sooner is always better than later. Now's an opportunity to install an SSD. Your particular MBP will support standard 2.5" SSDs which are not at all expensive. 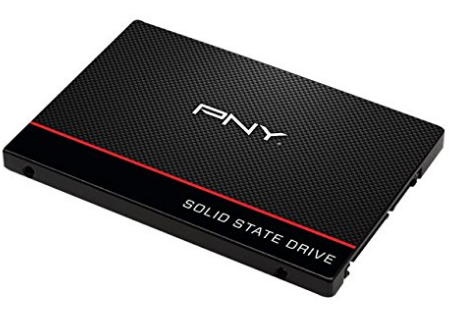 A 1TB SSD at the time of this writing is now under $220 and a 120GB is under $40! You mentioned that you "updated" (I'm taking that to mean you "backed up") your important files; this is good. However, your drive wasn't big enough to do a full clone. If you do this sooner rather than later, you can use your old drive as an external drive and use Migration Assistant to move everything over. 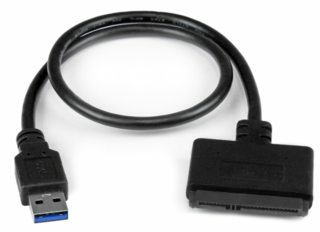 All you will need is a USB 3.0 to SATA adapter that will turn any SATA drive into an external drive. They're cheap and indispensable. When you remove the cable, just be extremely careful - meaning don't pull too hard. 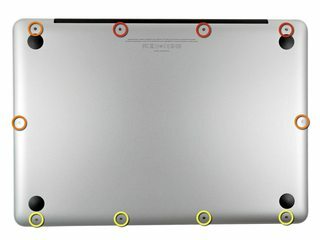 Ifixit.com has an excellent step by step guide to walk you through this procedure. Just reverse the steps to install your new drive. Last but not least, get an external drive to have Time Machine backups of your computer. Yes, it's another $60 or $70, but the question is, how much would you be willing to spend when your drive fails and you don't have a backup? That $60, in retrospect, would be super cheap. Once you do this repair and upgrade to an SSD, not only will you see increased reliability, but much, much higher performance than you previously experienced on your MBP. How to fix HDD failure on a MacBook Pro? Hard drive is failing, iMac is freezing? Is my MacBook Pro hard drive dying? 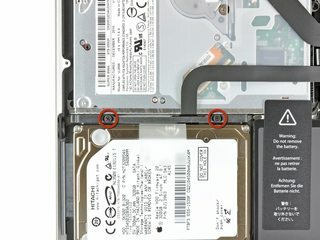 MacBook Pro 2013 hard drive upgradable?